Prime Minister Nawaz Sharif inaugurated the Sangla Hill Interchange on Pindi Bhattian-Faisalabad Motorway Section of M-4 on Friday (Today). While addressing a public rally in Islamabad, Prime Minister Nawaz Sharif said he always fulfils his promises. “CPEC will change the map of Pakistan,” said PM Nawaz. “Progress will not stop,” he promised. “The people who brought loadshedding to Pakistan… Those people who are trying to stop progress… These people don’t want loadshedding to end, they don’t want electricity prices to come down. Their agenda will be unsuccessful,” he roared. People will never follow those who hinder the way of progress and prosperity in the country, the prime minister said. 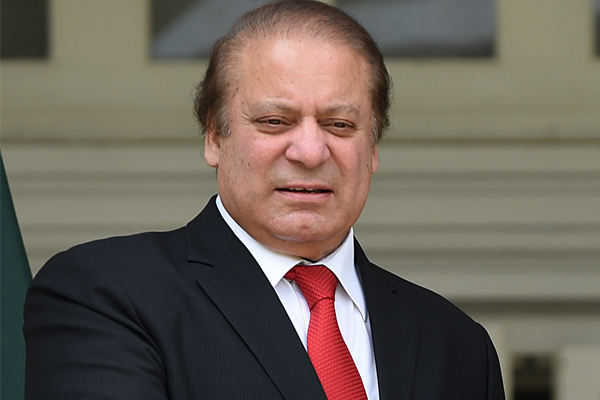 “Old Pakistan is still in its place, while new Pakistan is nowhere,” said PM Nawaz. “They said they would make a Naya Pakistan, but we are the ones building Naya Pakistan there. We are the ones making road and power projects there…We ended terrorism in Pakistan. We launched the operation in Karachi,” he said. The prime minister also inaugurated a Sui Gas project in Sangla Hill and announced to end load-shedding by 2018. The newly built interchange will link up the adjoining areas of Sangla Hill to the National Highway and Motorway Network thus paving the way for agricultural and industrial development. This 3.7 km long interchange is completed at a cost of more than Rs. 299.2 million with service road of 440 meters. 2xToll plazas and control building are also built there. Sangla Hill Interchange (M-4) will facilitate traffic to Lahore, Islamabad, Sargodha, Chiniot, Chak Jhumra, Faisalabad and Jhang. Likewise, traffic from Lahore-Sheikhpura and Faisalabad road will have access to the motorway. Moreover, commercial traffic of under construction industrial zone at Faisalabad will also use this interchange. There are agricultural farms and industries on the route and people will be able to transport products to adjacent areas and other cities, National Highways Authority spokesman Kashif Zaman earlier told Dawn. Presently, National Highway Authority, Ministry of Communications is working on a number of projects throughout the country and Western Route of the China-Pakistan Economic Corridor (CPEC) is being undertaken on priority. The corridor is to give Pakistan a central position in regional trade activity in the coming years. Goverment kadi Motorway bund kardi aey kadi kholdi aey. Aey kissae phanday they dakhan nay. Yes it may very well change the map of Pakistan and become the map of China!